The legendary Captain from WKU hung up his #76 jersey in 2014. Felix has been serving the league since organizing/hosting Nationals 2011. He served as the first elected league treasurer from 2013-2015, and played a huge role in gaining 501(c)(3) nonprofit status for the NCDA. Now serving as President, Felix has authored and maintained the Organization’s first set of official policies and bylaws, and created a relationship with the NCDA’s first official sponsor, SAVAGE Apparel. Overall, his focus is on further legitimizing the Organization, automating the systems currently in place, and creating partnerships with other organizations. 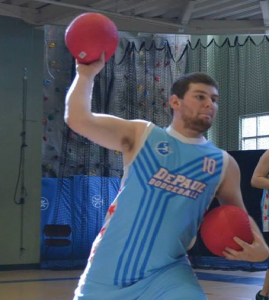 Mike is an Alum of the DePaul Dodgeball Society & the NCDA. When not coaching DePaul Dodgeball on Monday & Thursday nights on Court 4, Mike works as a auditor for a public accounting firm, specializing in non-profit & institutions of higher education. Based in Chicago, Mike is a licensed CPA (Certified Public Accountant) in the State of Illinois, and comes on as Treasurer to use these experiences to keep the League financially sound and maintain its not-for-profit status. A long time intern of the NCDA, Zigmas started his career in fall of 2010. He was granted the title of President at the 2013 Captains’ Meeting and served until 2015. As Director of Officiating, the focus has shifted back to the Rulebook and maintaining the Records. Played with DePaul starting in 2007. 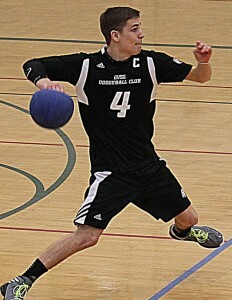 Kevin wore #4 on the court as the former Captain of the Grand Valley Dodgeball Club. Kevin was a 4x All-American and 3x MVP (2014, 2015, 2016). Kevin covers all areas of interest to the League, including league and individual team season previews, tournament previews and summaries, player interviews, among many others. As the first elected Chief of Content, Kevin looks to expand the media coverage of the NCDA and increase the awareness of the League. 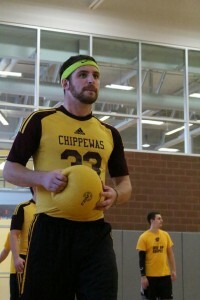 He wore #33 on the court and served as the President of the Central Michigan Dodgeball Club for the 2014-2015 seasons. He was a 2x All-American (2015, 2016). Jacob’s primary responsibility is recruiting new Universities and Colleges to the NCDA and helping them stick around for years to come. Jacob is also in charge of the NCDA’s notorious Alumni, with the goal of getting them as involved as possible in the league after graduation. He works as a Special Education teacher in central Indiana. Jacob was also a content writer before taking over his new position. 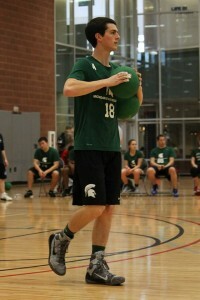 Former Captain and President of MSU Dodgeball Club and #18 on the court. He has received 3 All-American nods (2014, 2015, 2016). Colin has been one of the captains for Michigan State the past three seasons, offering him good insight into the skill and talent of other teams and their players. For the content team, Colin mostly covers tournament previews and recaps, but also writes articles based on his experience and analysis of the league. Coach of GVSU, as Director he will be concentrating on producing a video series for teams, players, and officials. General; covering Team Building and management to hosting events. Current Captain and President for the Dodgeball Club at VCU. Hunter has been one of VCU’s key pieces on and off the court during his three years with the team. For the Content Team, he generally works on tournament previews and recaps for the East Coast region, and has participated in podcasts for the league. Make sure to contact him if you have any interesting stories you want covered! Current player and former treasurer and president of the University Wisconsin Platteville Dodgeball Club. Erik as been a part of the team for many years now and is familiar to most. He loves to write previews and reviews for tournaments and holding the title of favorite content writer of the NCDA (may have given the title to himself, but that is okay). He works full time and is currently in graduate school so he knows how to keep himself busy. As always, he is always available for commenting and for making fun of anyone that gives him the chance. The president and current Co-Captain for the University of Akron Dodgeball Club. 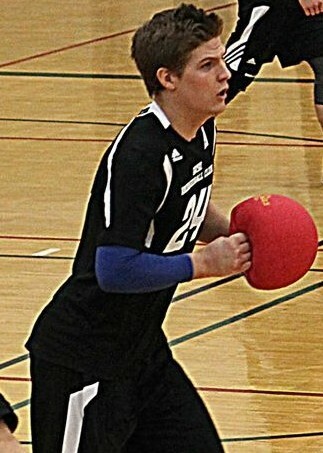 Colby has been an integral piece of the offense for the Akron Dodgeball club for his 3 seasons as a captain. 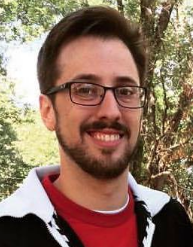 He joined the content team last season and has been the voice of the Ohio region. He mostly writes tournament previews and reviews, but on occasion writes opinion pieces for the league. Former Captain of MSU Dodgeball and former NCDA Chief of Content. 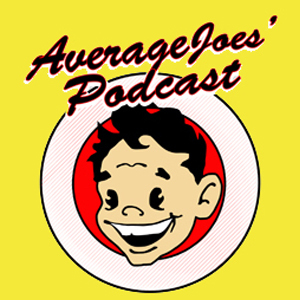 His range of contributions include previews, interviews, and general articles all about college dodgeball. Former Captain and President of GVSU Dodgeball. Wore #8. 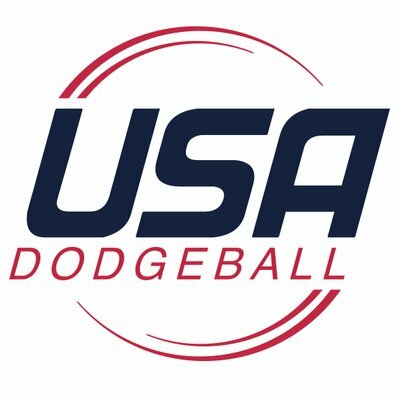 NCDA content provided includes Previews, Postgame, and General College Dodgeball articles. Mark has a straight forward writing style, with a specialization in the Michigan Region. 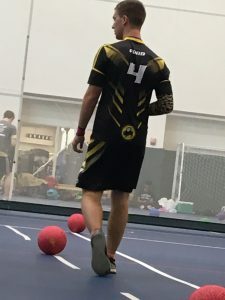 Former Captain/Vice President and current player for Towson Dodgeball. Sporting #19, Sean’s talents as a content writer ranged from previews, interviews, postgames, and excessive uses of both satire and sarcasm. As the first writer from an East Coast team, he brought some much needed flavor to the NCDA site.